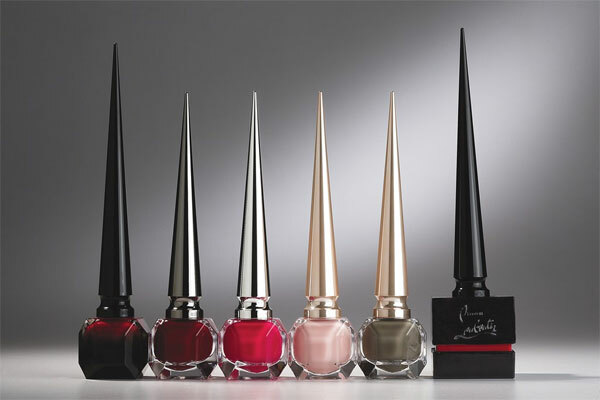 Christian Louboutin’s highly anticipated beauty collection is finally here. Today WWD has a first look at the tall, spike-topped bottles in the Christian Louboutin nail polish collection, which features 31 shades including Rouge Louboutin, the color of the shoe designer’s iconic red soles. Rouge Louboutin goes on sale today at the brand’s U.S. boutiques and at Saks Fifth Avenue in New York, while the full shdae collection will launch on August 31. So what’s up with those bottles? The long cap is apparently inspired by a calligraphy brush and is also reminiscent of a stiletto heel. It takes 22 weeks to make each polish, since the glass faceted bottle is finished with a hand-held flame and comes in a handmade box. At $50 each, the enamel is even more expensive than polishes by Tom Ford ($32) and Chanel ($27). But hey, it’s much cheaper than a pair of the designer’s heels. 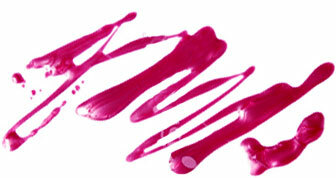 While this is Louboutin’s first foray into beauty, it turns out that nail polish has been in the brand’s DNA all along. Way back in 1992, while working on designs for his third collection, Louboutin used an assistant’s bottle of red nail polish to paint the sole of a prototype shoe.